Sandra Castro may be a Colombian-American with a successful pet-sitting business, but she also spends half the year preparing for one of the biggest festivals in the country, which she helped to found. Now in its third year, the Festival Cubano in Chicago is the largest Cuban festival in America, and is now catching up with the popular alternative music festival, Lollapalooza. They will both take place in the windy city next weekend, August 4th and 5th. This year, the festival will definitely have a lot of “azucar! 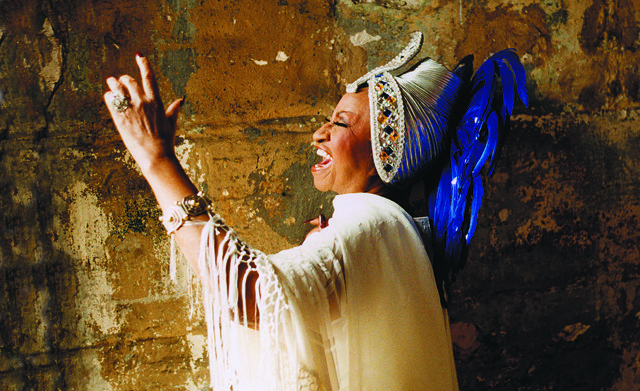 In addition to having another star-studded lineup, including Isaac Delgado, Jose Alberto “El Canario,” Celia Cruz All Stars, and Tito Puente, Jr., the Festival Cubano is collaborating with The Celia Cruz Foundation to showcase memorabilia of the late salsa star. 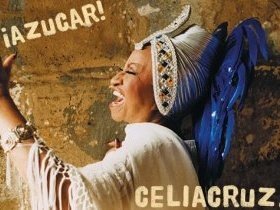 Today, Pardillo hosts a weekly radio show “Azucar!, Celebrating the legacy of Celia Cruz”, on Sirius XM and represents the estate of Celia Cruz. He says he will be bringing with him some of Cruz’s items to the Festival, including original photographs, records, and probably a pair of shoes, among other things from his private collection. Pardillo adds that Cruz did a lot of community work in her more than 40-year career, and since Cruz is the guest of honor at this year’s Festival, so is her legacy of philanthropy. Castro, 39, says she and the other two co-founders of the Festival, her brother Rainier, 33, and George Herrera, 30, had some resistance from the Latino community at first. In the first year of the festival’s existence, to the surprise of the young founders who only had four months to prepare, 120,000 showed up over the two-day weekend. Castro says it’s hard for her to explain in words, but she just wants to be able to share with others something she loves so much.